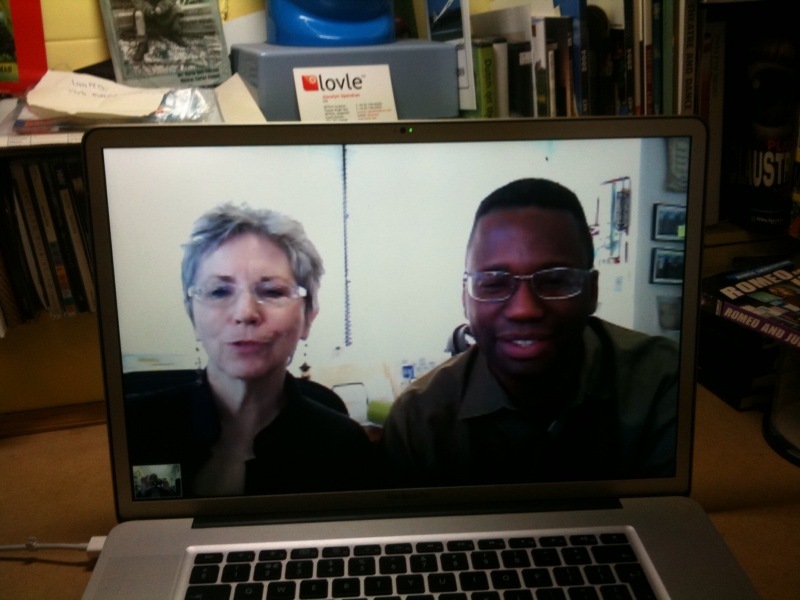 A big thanks to Joan and Hamilcar who joined me for a Skype Chat live from New York City. We were making arrangements for Alice Greenwald who will be speaking at our Shift Happens conference in July. She will be sharing her ideas and thoughts about her work and how new technologies have helped in gathering stories an information for the project. So the test call was a big relief and success- so time for more tea!